Test yourself by answering the questions below and see how well you do! a) Whom should I give this to? b) Who should I give this to? a) The lecture was so boring, I was truly uninterested. b) The lecture was so boring, I was truly disinterested. a) The car drove further than I thought it would. b) The car drove farther than I thought it would. 1 – Knowing when to use “who” or “whom” is actually quite simple! All you have to do is think of the answer. Is the answer “him/her” or “he/she”? If the answer is “him” or “her”, then you use “whom”, if the answer is “he” or “she” - its “who”. So in this case, “To whom should I give this to?” – to her! Or, “Who did this?” – he did! 2 – Here’s a mistake you don’t want to make! “Disinterested” and “uninterested” have two very different meanings. To be disinterested means to be unbiased, or neutral. If there is an argument and you take no sides then you are disinterested. However, if you are uninterested then you don’t care! 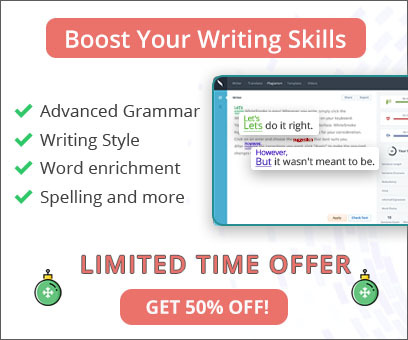 3 – “Further” and “farther” are very confusing and there are even some dictionaries that say they are interchangeable, however grammar experts do what they can to make a distinction. Use “farther” when you are implying actual distance – “the car drove farther”, “that house is farther”…etc. Use “further” when you are implying a metaphorical distance like time, degree or quantity, or instead of “in addition”. For example “We need to look further into this”, “They should discuss this further”, etc. 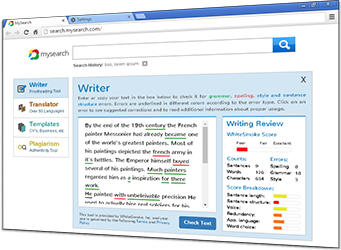 Get WhiteSmoke now to be sure you've got the best writing software available today!